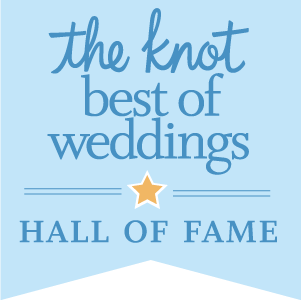 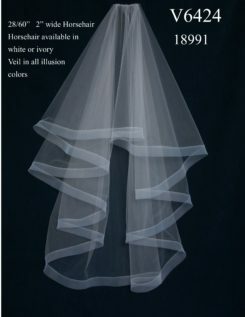 JL Johnson VR38 is a birdcage length veil. 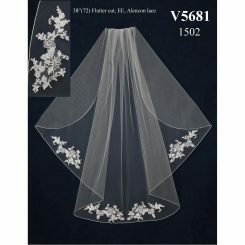 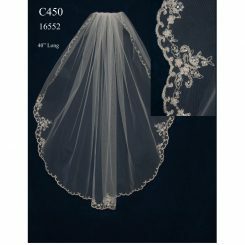 It has satin and lace flowers at the top of the veil. 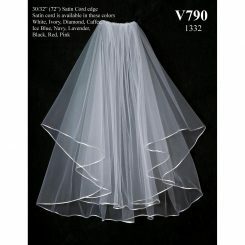 It is available in white and ivory. 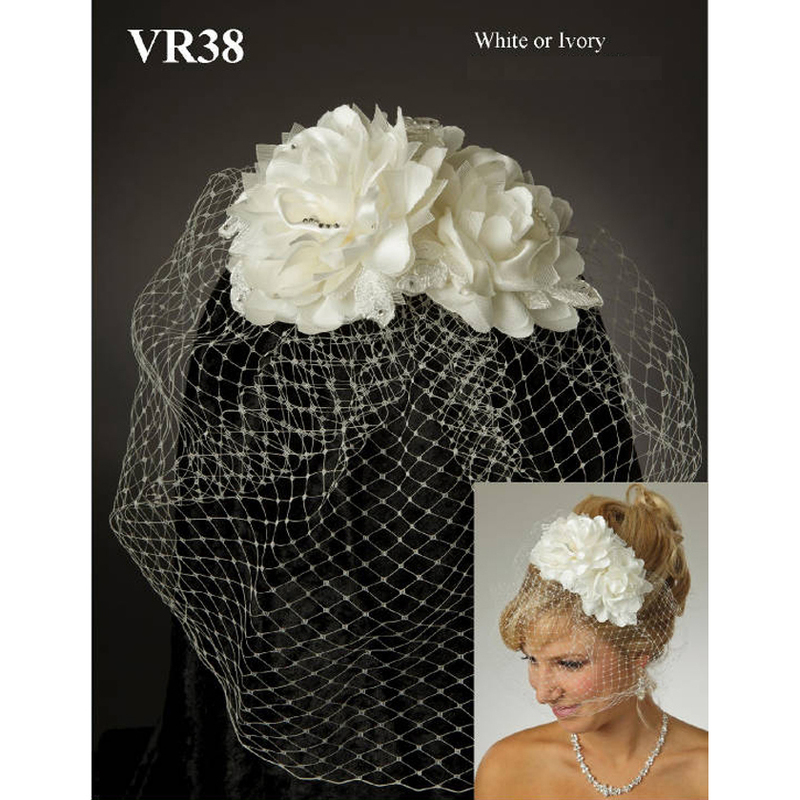 JL Johnson VR38 is a short, birdcage veil. It has a fishnet design material that comes over the front of the face.There are beautiful satin and lace flowers at the top of the veil that contrast great with any hair color. 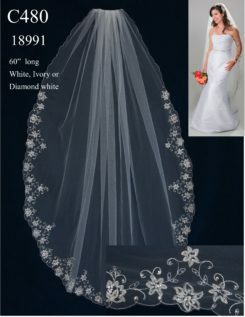 There are scattered rhinestones throughout the flowers that add a little bit of sparkle to the veil. 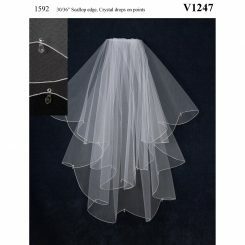 This veil has a Russian net blusher comb. 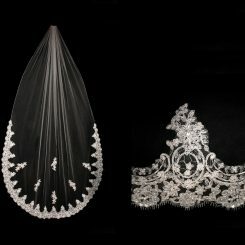 Because it has both the satin flowers mixed with the rhinestones, either pearls or a diamond like stone would look amazing for an accent in the jewelry. 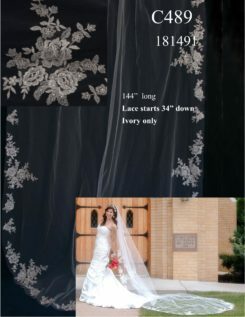 It is available in white or ivory.